No camera trick. It actually looks like a horse's tail. 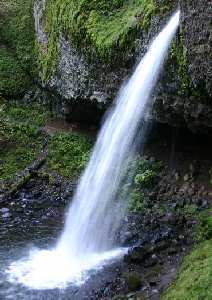 Upper Horsetail Falls is east of Portland. On I-84 take Ainsworth exit 35.